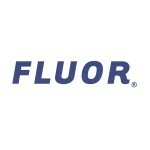 IRVING, Texas & AMSTERDAM--(BUSINESS WIRE)--Fluor Corporation (NYSE: FLR) announced that the widened and upgraded A27/A1 motorways in the Netherlands has officially opened to traffic. The upgraded motorways connect Utrecht North and the Eemnes Junction, as well as the A1 motorway between the Eemnes Junction and the Bunschoten-Spakenburg connection. The project was delivered two months ahead of schedule. The A27/A1 project was awarded in 2016 by the Directorate-General for Infrastructure and Water Management of the Netherlands [Rijkswaterstaat] to the 3Angle B.V. special purpose company, comprising Fluor, 3i Infrastructure and Heijmans Capital. Construction of more than 23 kilometers (14.3 miles) of motorway has now been completed increasing the A27 to two three-lane traffic lanes and the A1 motorway to two four-lanes, reducing congestion by increasing capacity in this area. More than 125,000 metric tons of quieter asphalt were installed and 10 kilometers (6.2 miles) of sound barrier and smart construction methods were implemented to reduce the impact of construction on the surrounding communities. Recycled asphalt was used to provide a sustainable new toplayer of the road. The 3Angle team worked closely with key stakeholders and local communities in the redesign of the viaducts and public green spaces. Ensuring the welfare of local wildlife was also a key consideration, and a fauna tunnel was constructed to protect the habitats of reptiles, amphibians, bats and mammals living near the road. 3Angle is responsible for the 25-year management and maintenance period of the widened A27 and A1 motorways until 2043.